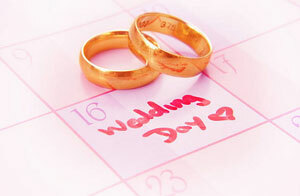 UK Wedding Planners: There aren't many events in your life which are more significant than your wedding day. The memories of that magical day should be ones of joy and wonder. Having a specialist UK wedding planner by your side throughout the preparations should help to ensure that this is actually a reality. Your wedding planner will be glad to ease most of the anxiety and stress that is involved with this procedure leaving you to continue with your own personal preparations. At the first consultation, the couple will get together with the wedding planner to chat about exactly what they're hoping to get from their special day and what budget they've put aside to pay for it. This preliminary consultation will take between 1 and 2 hours and enables the wedding planner to get acquainted with the couple and the couple to get acquainted with the wedding planner. In order to make their wedding event a unique and unforgettable experience, individual tastes and creative styles will be discussed and an outline of the costs will be given with regards to such essential requirements as videography, catering, flowers, wedding favours, reception entertainment, security, stationery, potential venues, photography, table decorations and wedding cake. Other things that will no doubt be mulled over on this first meeting are an outline of how the day should pan out, wedding etiquette and customs, such as where people ought to be standing during the ceremony, guest seating arrangements, who should be invited, the order of speeches and various niggling issues that the happy couple might worry about as the day in the UK draws near. As your wedding day gets nearer you ought to get updated frequently by your wedding planner to make sure you stay fully briefed on what last minute adjustments might need to be made, an illustration may be when the weather forecast for UK is not great on the day, then some fine tuning may be needed like choosing a better location for shooting the wedding photographs or arranging a new meeting point. 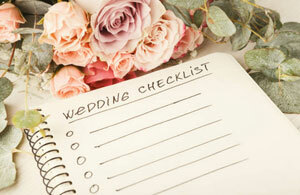 There are so many details to stress about when organizing a wedding and using an experienced wedding planner in the UK, will help you to make sure that each little detail has been looked into, budget fixed and adhered to, timeline set, and nothing whatsoever is left to chance, in order to make your day memorable and magical. On the big day itself the wedding planner will be present to ensure that things run successfully sorting out any unexpected issues that might take place therefore letting the happy couple to relax and savor their wedding event. Also find wedding planners in: Warrington, Galashiels, Lochgilphead, Irvine, Swindon, Worthing, Pembroke, Cowes, Warwick, Stoke On Trent, Redcar, Falkirk, Prestwick, Elgin, Gateshead, Eastbourne, Hereford, Lowestoft, Airdrie, Glenrothes, Telford, Swansea, Bradford, Dundee, Huntingdon, Forfar, Chester, Sheffield, Norwich, Pontypool, Bournemouth, Dumfries, Tamworth, Cardiff, Yeovil and places nearby. More UK wedding planners: Willenhall, Chippenham, Waterlooville, Salford, Tynemouth, Maidenhead, Cottingham, Ross-on-Wye, Poulton, Wombwell, Worcester, Washington, St Neots, Stoke-on-Trent, Sale, Christchurch, Colwyn Bay, Tunbridge Wells, Eastleigh, Burntwood, Ely, Banbury, Broadstairs, Kendal, Stirling, Ashford, Bury St Edmunds, Bracknell, Worthing, Seaford, Woking, Paignton, Accrington, Swadlincote, Luton, Harlow, Weston-super-Mare, Thatcham, Long Eaton, Dover, Farnworth, Livingston, Bishops Stortford, Bletchley, Bridgwater, Heywood, Esher, Swinton, Potters Bar, Castlereagh, Reigate, Llanelli, Burnham on Sea, Watford, Grimsby, Newtownabbey, Aberdare, Newark-on-Trent, Hyde, Corby, Brighton, Tipton, Durham, Nelson, Ewell, Greenwich, Maghull, Wath-upon-Dearne, Crewe, Wolverhampton, Godalming, Rochdale, Penwortham, Workington, Rochester, Tewkesbury, Royton, Weybridge, Southsea, Merthyr Tydfil, Kidderminster, Hindley, Droylsden, Newry, Wickford, East Kilbride, Skelmersdale, Irvine, Hitchin, Hertford, Hamilton, Falmouth, Kingston upon Thames, Brierley Hill, Rowley Regis, Maidstone, Rayleigh, Canvey Island, Normanton, Newcastle-under-Lyme, High Wycombe, Cheltenham, Northwich, Clevedon, Barnet, Leamington Spa, Worksop, Derry, Jarrow, Exeter, Richmond upon Thames, Wakefield, Keighley, Walkden, Horsham, Blackburn, Woodley, Basingstoke, Oldbury, Dudley, Urmston, Bournemouth, Burnley, Leominster, Bridlington, Berkhamsted, Cramlington, Lichfield, Dundee, Exmouth, Edinburgh, St Albans, Bingley, Camberley, Yeovil, Southport, Leeds, Basildon, Hoddesdon, Margate, Braintree, Dunstable, Coleraine, Winkfield, Leek, Deal, Sevenoaks, Hinckley, Kilmarnock, Chester-le-Street, Herne Bay, Leigh, Leatherhead, Airdrie, Ealing, Longton, Ware, Pontefract, March, Kirkcaldy, Torquay, Barnsley, Truro, Bexhill-on-Sea, Horley, Folkestone, Biggleswade, Coatbridge, Wednesfield, Smethwick, Inverness, Radcliffe, Heysham, Brownhills, Maldon, Bath, Rotherham, Littlehampton, Salisbury, Warwick, Sandbach, Portsmouth, Glenrothes, Crosby, Whitstable, Grays, Neath, Tonbridge, Wellingborough, St Helens, Lincoln, Hull, Peterborough, Norwich, Paisley, Huntingdon, Hucknall, Finchampstead, Scarborough, Ashton-under-Lyne, Stroud, Ilkeston, Beverley, West Bromwich, Frome, Darlington, Warrington, Sunninghill, Bolton, Great Yarmouth, Hatfield, Castleford, Poole, Lisburn, Colne, Kingswinford, Gravesend, Burton-upon-Trent, Morpeth, Stockport, Cardiff, Bloxwich, Gateshead, Fleetwood, Preston, Walsall, West Bridgford, Goole, Gloucester, Peterlee, Widnes, Lancaster, Glasgow, New Milton, Guildford, Marlow, Ellesmere Port, Chalfont St Peter, Newquay, Wisbech, Holmfirth, Southampton, Sandhurst, Doncaster, Dinnington, Stafford, Neston, Cleethorpes, Hanley, Winsford, Camborne, Boston, Leyland, Gosport, Andover, Arnold, Fleet, Taunton, Madeley, York, Kidsgrove, Crawley, Batley, Dewsbury, Ascot, Bicester, Halifax, Newbury, Ballymena, Rawtenstall, Sunderland, Bognor Regis, Crowborough, Brighouse, Kirkby, Solihull, Chesham, Oldham, Witham, Swanley, Harrow, Reading, Bentley, Tilehurst, Lewes, Sutton Coldfield, Ipswich, Formby, Blackpool, Shanklin, Bradford, Bedford, Trowbridge, Newtownards, Harwich, Altrincham, Shrewsbury, Barry, Eccles, Cumbernauld, Bromsgrove, Enfield, Carlton, Colchester, Wokingham, Bedlington, Telford, Oxford, Yeadon, Manchester, Dereham, Barrow-in-Furness, Dartford, Wallasey, Golborne, Bedworth, Cheshunt, Huddersfield, Plymouth, Prescot, Nottingham, Cowes, Wednesbury, Lowestoft, Swansea, Dunfermline, Bangor, Bridgend, Bootle, Congleton, Whitley Bay, Fulwood, Clacton-on-Sea, Faversham, Leighton Buzzard, Bury, Sutton-in-Ashfield, Billericay, Pudsey, Falkirk, Mansfield, Chester, Yateley, Brentwood, Yate, Rugby, Redcar, Bilston, Farnborough, Halewood, Harrogate, Thetford, Tamworth, Halesowen, Burslem, Hemel Hempstead, Chapeltown, Hythe, Lytham St Annes, Hereford, Stourbridge, Gatley, Denton, Newton le Willows, Redhill, Birkenhead, Penzance, Chadderton, Chorley, Fareham, Aberdeen, Borehamwood, Dumfries, Newport, Ryde, Stevenage, Birmingham, Milton Keynes, Rickmansworth, Northampton, Gillingham, Epsom, Chatham, Aldridge, Cambridge, Bristol, Kettering, Billingham, Weymouth, Shipley, Witney, Letchworth, Ossett, Middleton, Motherwell, Darwen, Bebington, Canterbury, Whitehaven, Wallsend, Belfast, Heswall, Carrickfergus, Harpenden, Abingdon, Westhoughton, Ferndown, Molesey, Aldershot, Craigavon, Hedge End, Sandown, Oswestry, Melksham, Stockton-on-Tees, Chelmsford, Middlesbrough, Grantham, Rainham, Walton-on-Thames, Whitefield, Liverpool, Wellington, Stretford, London, Bushey, Loughton, Runcorn, Coalville, Ashton in Makerfield, Croydon, Aylesbury.